The only way to reverse the marking of a payment as Paid is from the Appraisal Details page. 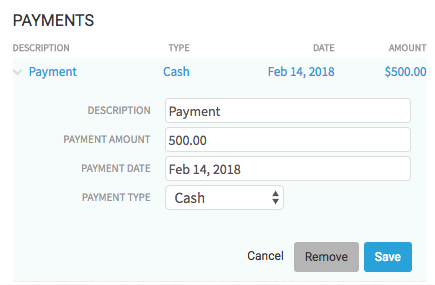 First, choose the order you want to edit from your main Dashboard, then look for the Fees & Costs section located to the right of the Details page. You will see a green Paid status icon underneath the Report Fee total. Next, click on the Payment line that you want to reverse, and click the grey Remove button. Finally, you will see a purple Unpaid status icon under the Report Fee total, notifying you that the payment has been removed and this order is no longer in a Paid status!